In this 2-day course, students will continue their learning on the foundations of report writing with Microsoft® SQL Server® Report Designer and SSRS. The focus will be on report creation by connecting to a database and manipulating the data for presentation including: creating parameter reports, creating list reports, adding complex expressions to reports, adding images and subreports to reports, adding drilldown and drillthrough functionality, and adding sparklines, data bars, and indicators to reports. Report Designer is available for all supported versions of Microsoft® SQL Server®. The primary audience for this course are persons who are new to reporting with Microsoft® SQL Server® Report Designer and SSRS, persons who are transitioning from another reporting software application, and persons who are existing Report Builder and SSRS report authors. 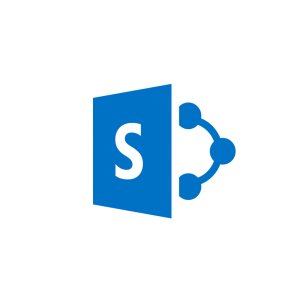 The secondary audience for this course are persons who are using Report Builder (SSRS). Course participants may be business analysts, programmer analysts, data analysts, database administrators, or IT professionals and may or may not have experience with Microsoft® SQL Server® Report Builder and SSRS, programming (Visual Basic), and/or Transact-Structured Query Language (T-SQL) experience. Format reports with complex expressions. Add images and sub reports. Add drilldown and drill through functionality. Add sparklines, data bars, and indicators. This module introduces the use of the parameter in report writing. Parameters allow a level of self-service reporting wherein the report audience can choose the data to view (date range, department, geography, etc.). Describe the key benefits and features of report parameters. Create parameterized queries and parameterized reports. Create parameters which accept single values, multiple values, expose or hide the parameter value, provide a list of available parameter values, and provide parameters with default values. Modify existing parameters and parameter reports. This module introduces the list data region. List data regions allow report writers free-form control over their reports, whereas, table and matrix reports bind you to a table or matrix data presentation. This free-form feature affords the report writer the ability to truly customize the report. Describe the benefits of list data regions and rectangles in reporting scenarios. Create reports which display data in multiple columns. Create reports which take advantage of nested data. Create enhanced reports using list data regions and rectangles. This module introduces several new report formatting techniques which allow the report writer better control over the data displayed in the report. Create conditional formats for data displayed in a report. Use complex expressions in charts. Calculate running values for groups and datasets. Create TOP N reports for groups and datasets. Describe the available options for adding images to reports. Add sub reports and parameterized sub reports to reports. This module introduces the ToggleByItem and Action properties to incorporate drilldowns and drill through reporting. Describe the key features of drilldowns and Drill through s in a report. Add Drill through s to Reports. Add parameterized Drill through s to Reports. This module introduces the ability to create and add charts to reports. Whether through wizard or individual effort, chart reports or charts as report components allow us to visualize data with or without the details. Describe the key features of incorporating mini-charts and mini-gauges in reports. Add and modify sparklines, data bars, and indicators in reports.